Library staff were busy with many fundraising events throughout the United Way month of October. Not only was this the most successful fundraising year for the Library, we were the top event fundraisers for the University of Waterloo United Way Campaign. Dana Porter and Davis Centre libraries will have extended hours throughout the exam period, starting at 8:00 AM on Sunday November 26 and ending at 11:00 PM on Thursday December 21. Partnering with departments across campus, the Library hosted a variety of events during Open Access Week - from workshops to a movie night with popcorn. The highlight of the week was Open Access Day, a day-long event of panels and workshops covering the creation and use of open educational resources (OER), a discussion about how to ‘get serious’ about Open Access at Waterloo, and more! Kicking off the event was a keynote address from David Porter, CEO of eCampus Ontario about "making Open Access the default thinking in curricular resource creation, adoption and adaptation." You can view his keynote slides on Slideshare. 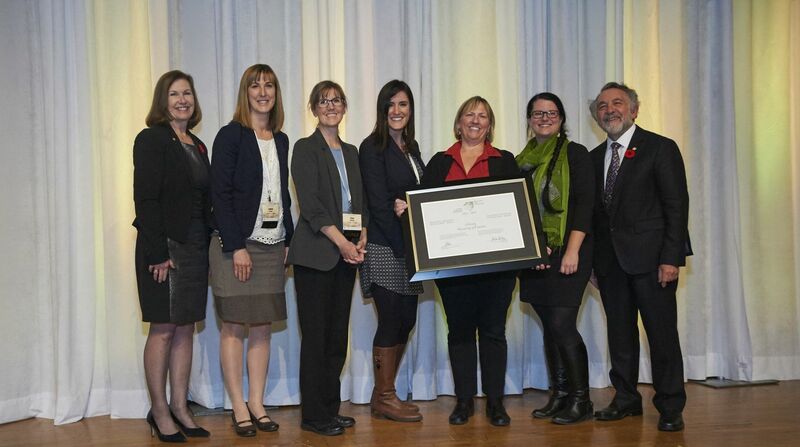 The Library was recognized at the Excellence Canada Summit last week for achieving Silver certification in Excellence Canada's Excellence, Innovation and Wellness (EIW) program.